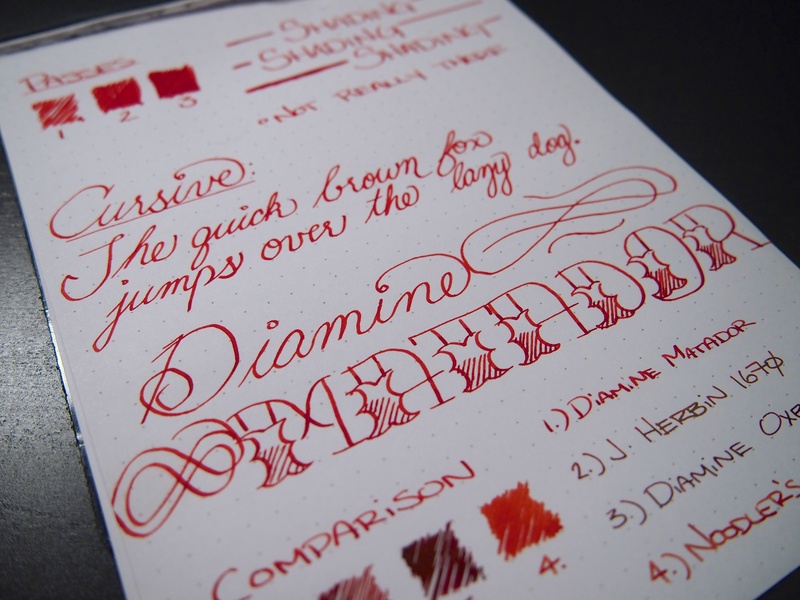 Notes: As much as I love Diamine inks, this one didn’t do much for me. While I have no complaints, I just don’t think there was anything unique about it. I think it’s a really classic red. When I think of the color red, this is pretty much what pops into mind. Don’t get me wrong, it’s a nice ink, but nothing crazy. 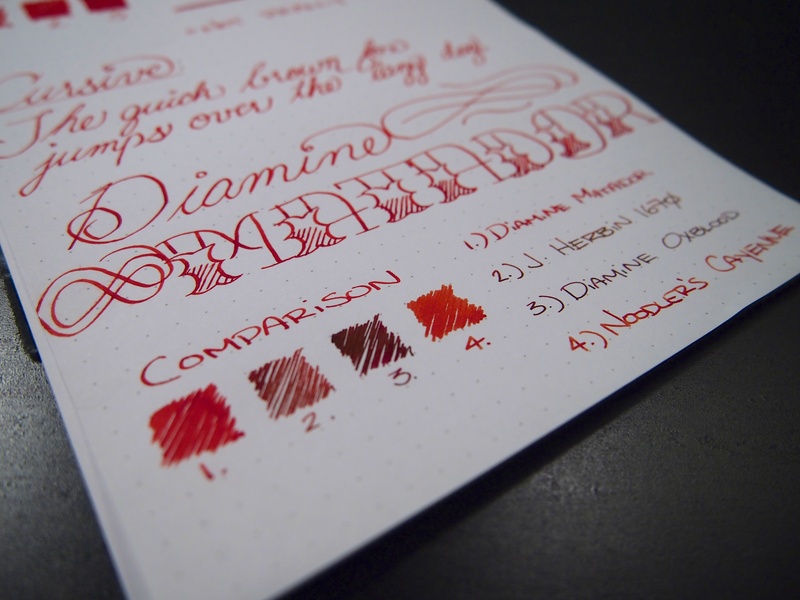 I have four bottles of Diamine, and I’ve sampled countless others, it’s hard to find something to complain about. They’ve all been well behaved and work well on pretty much any paper, nib depending. Even this stuff wasn’t bad on regular copy paper with the 1.1mm italic, very minimal feathering, if any. 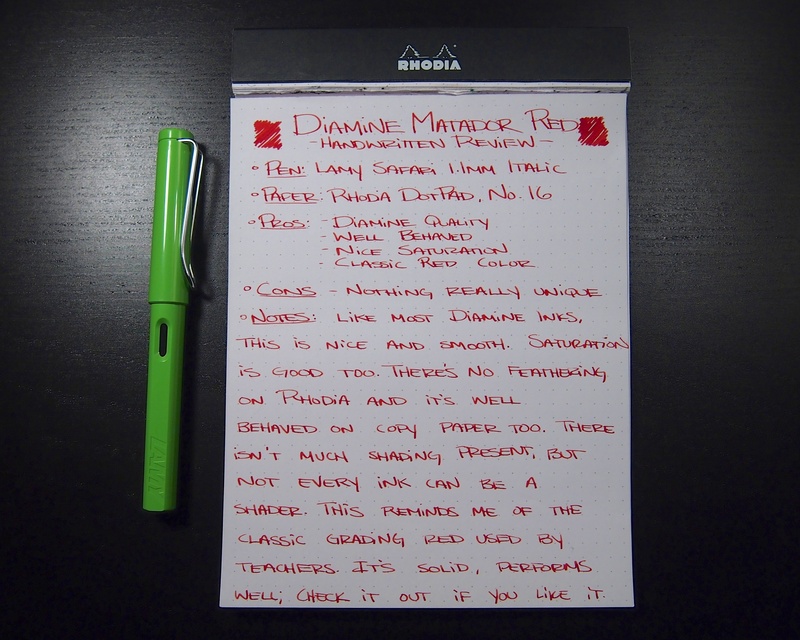 Also, I chose to throw this ink in my Lamy Limited Edition 2012 Green Apple pen because it’s almost Christmas. I think my daily carry of mostly matte black pens needed a little red and green cheer. First page of the review. The Safari Ltd. Ed. looks nice when some light shines through the viewing hole. Page 2. 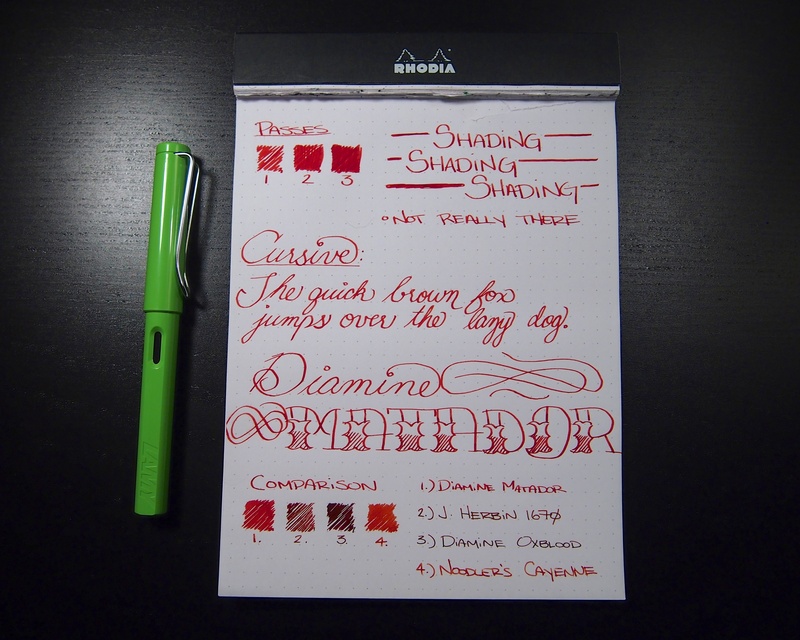 Got extra fancy with the name of the ink this time. I screwed up the “O” a bit. Whoops. There’s maybe a tiny bit of shading here. In smaller nibs, I doubt it’ll show up. 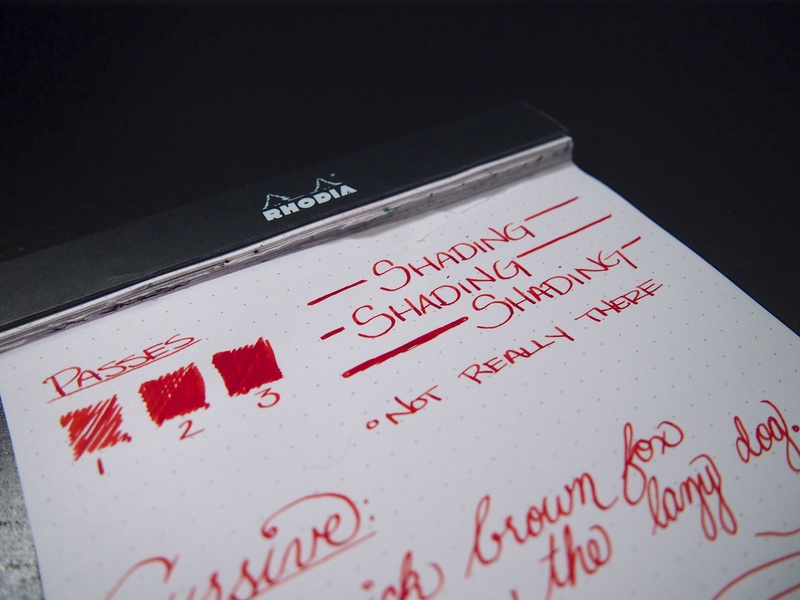 Close up on the fancy writing. Pretty happy with this one. The design overall reminds me of a Matador, sans bull-related violence. Comparison with a few of my favorite reds. I love your writing. It’s so awesome. It makes your reviews easy and fun to read too!